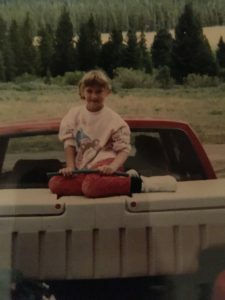 Jenny Ferries on the back of her parent’s red pickup truck holding an elk caller. Gone are the days of letting your career choose your intended path. Just ask Jenny Ferries. She went from devoting 14 years to a world of teaching elementary and middle schoolers to becoming a Software Engineer at Microsoft, simply by taking a chance and believing in herself. “I’ve always loved building things and problem solving, she quipped. Yet, she’s always loved to teach. As a small child in Montana, Jenny would stand on the back of her parents red pickup truck and “teach” her friends. She took that passion and went on to major in Elementary Education at Pacific Lutheran University. She paired this thirst for education with her command of the Spanish language to teach at a dual-language elementary school for four years. However, the idea of “no child left behind” led her to switch school systems. “I refused to sign away my teacher’s rights,” she added. Jenny hated the idea of educating solely from a strict curriculum without the infusion of one’s own teaching style and the ability to pull in new ideas to give students an interesting learning platform. Not abandoning her desire to build and problem solve, she took this opportunity to spread her teaching wings by educating in a more progressive, Spanish-immersion school. It allowed her to tap into her interests with students in a more technical, innovative way. A class visit with the Museum of Flight -not only- exposed her elementary students to the idea of robot building, but re-awakened Jenny’s passion for creation. Excited by the possibility of bringing the project to her classroom, she asked the presenter where she could find a similar robot-building kit for her students. She was told to check out First Lego League, a program where teams of elementary and middle schoolers must research real-world issues (e.g., food safety, recycling, energy) and compete as they develop solutions through robotics using Lego technology. She immediately called students’ parents, created a team of 10 elementary students and committed to a year-long test run. They all loved the program, which led to Jenny creating after-school classes for first and fifth-grade students. “I tried to get as many kids involved so they could learn programming and engineering skills by building with Legos,” she added. In the classes, she taught the kids Block programming and how to build basic models, while infusing science, math and engineering. With her creative mojo back, Jenny went on to start an EV3 robotics kit program for the school’s third through fifth grades. Through EV3, students had a variety of theme-based projects, including a line-following robot (i.e., robot must be able to follow a single, black line) or a sumo bot (i.e., robots try to push each other off a circular playing field). At the middle-school level, Jenny started her school’s First Tech Challenge team. The program allowed for more in-depth programming using an Android phone and the use of 3D printers to create parts for their larger robot creations. Always seeking to improve her teaching craft, she considered applying for LEAP, Microsoft’s modified training and mentorship program that provides participants with real-world development experience. The 16-week diversity program combined traditional classroom learning with hands-on projects and lectures by senior-level engineers. 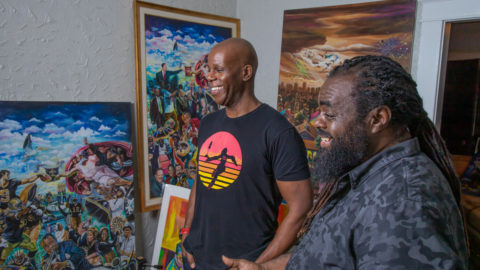 One of the differentiating factors of the program is that it specifically seeks participants with diverse professional backgrounds and life experiences, such as Jenny’s years as an educator. With a focus of developing software developers for the core engineering groups, LEAP’s mission is to create an environment where diverse candidates can build strong engineering skills and help increase diversity at Microsoft. After being chosen to participate, Jenny quickly realized the level of hard work and dedication required. However, she found it fulfilling and eye-opening. Her plan was to get the hands-on experience and return to the classroom, but was met with an offer to join the Microsoft Team. Jenny ran into the conundrum of choosing between her love of educating and her love of building. 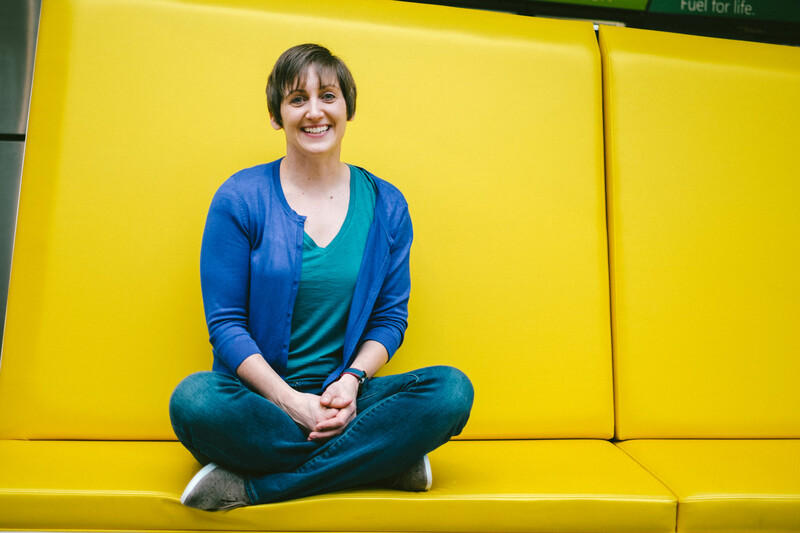 With Microsoft providing an infrastructure for constant learning and growth, she decided to leave teaching for software engineering. She remains closely tied to her old school district (e.g., working to become an advisor with their Career & Technical Education [CTE] program and volunteering frequently). Her passion for education hasn’t waned; however, Jenny is happy that Microsoft will allow her to expand her talents, which she feels strengthens through “time and practice.” It’s this improvement of skillsets that she feels the company will always provide an opportunity to do even more for the world of education from a technical lens.